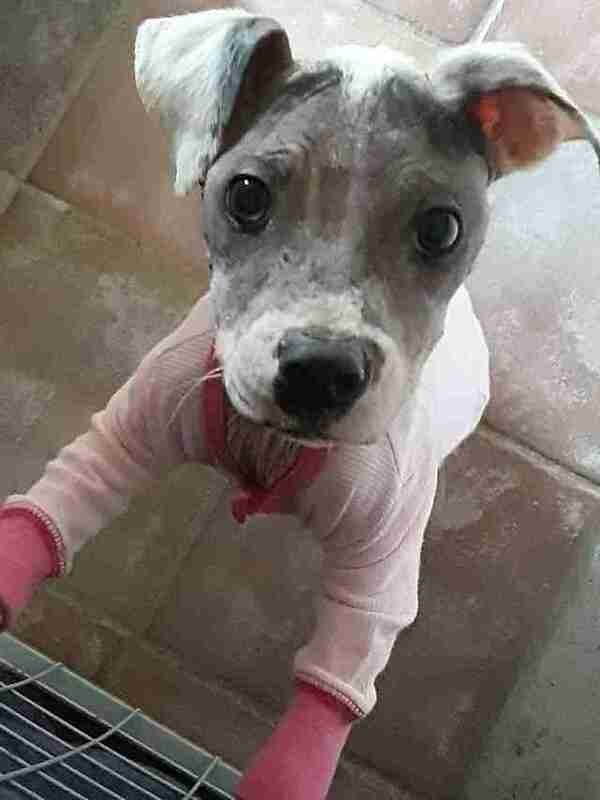 When Barbara Zuluaga saw a photo of a tiny, crusty-skinned puppy, she didn’t know what kind of dog she was. 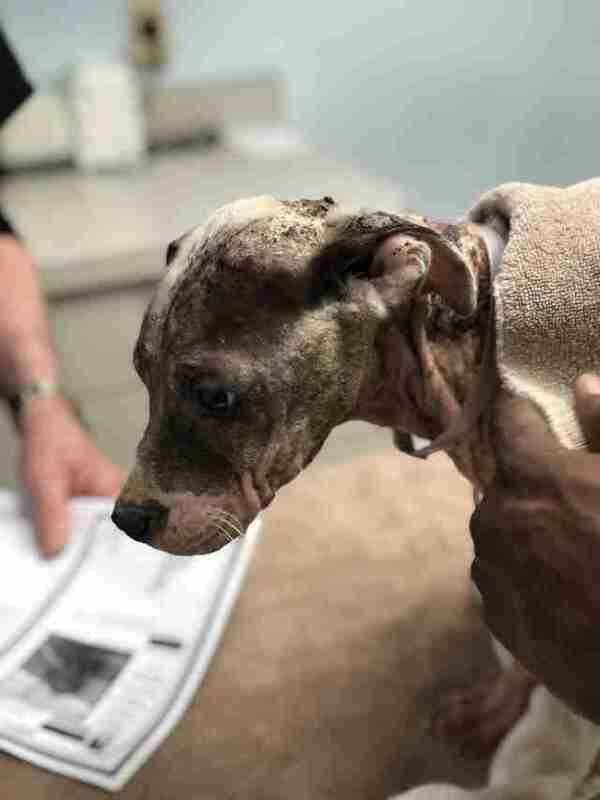 The puppy, who was about 8 months old at the time, was actually a Staffordshire terrier mix — but she was so malnourished, she was half the size she should have been, weighing about 12 pounds. 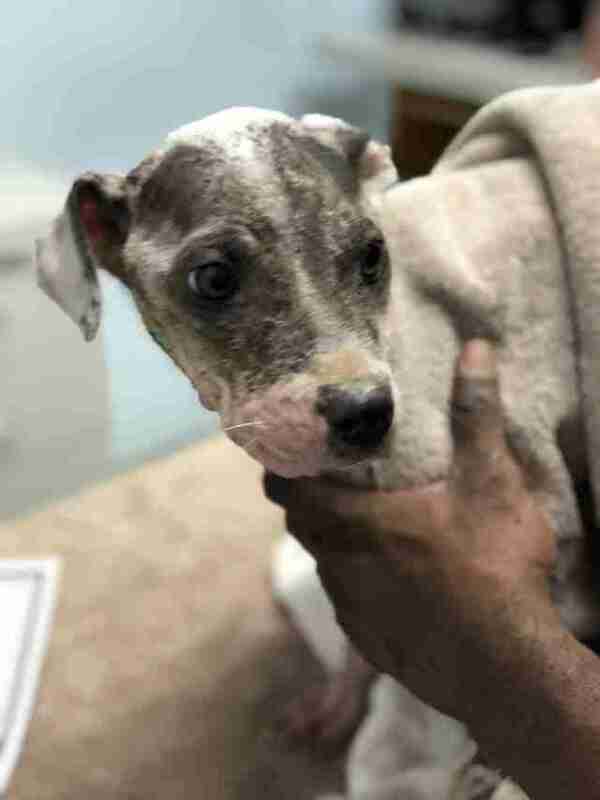 The puppy, named Ziva at the time, had come into the BARC Animal Shelter in April after being found chained to a tree on a property in Houston. 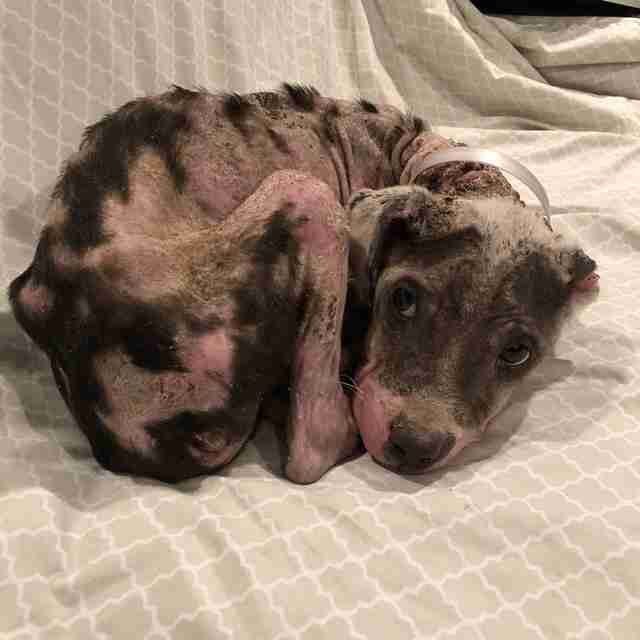 Besides being malnourished and covered in mange, Ziva had sores all over her body, and her foot pads had been rubbed raw. Ziva was also scared of everyone she encountered. “When you held her, she shook, and she wouldn’t make eye contact,” Zuluaga said. 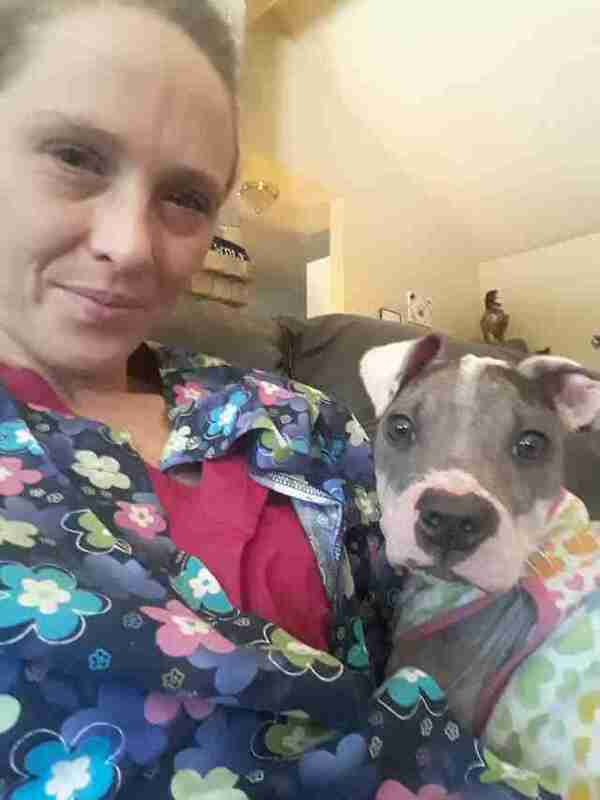 Zuluaga pulled Ziva from the shelter and got her to a vet for treatment. 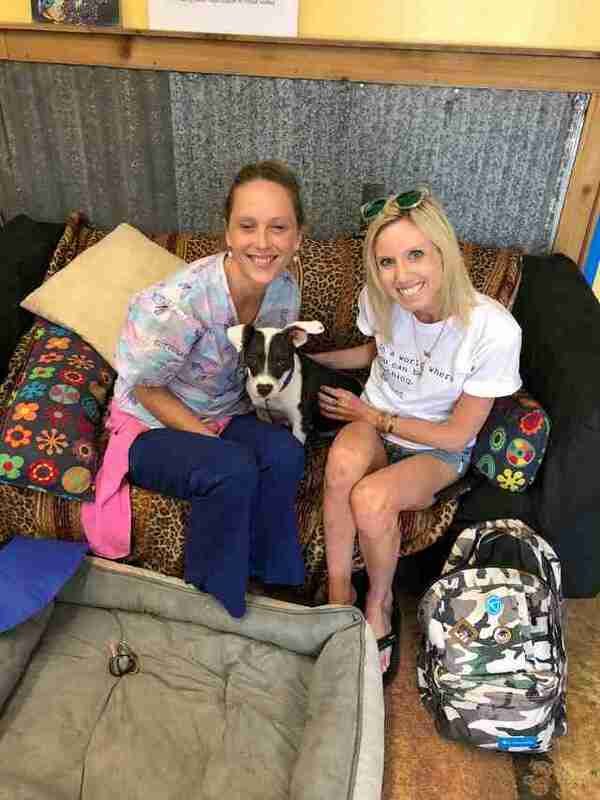 While she was there, one of the veterinary technicians, Stephanie Williams, fell in love with Ziva, and she didn’t want to say goodbye when it was time for her to go. 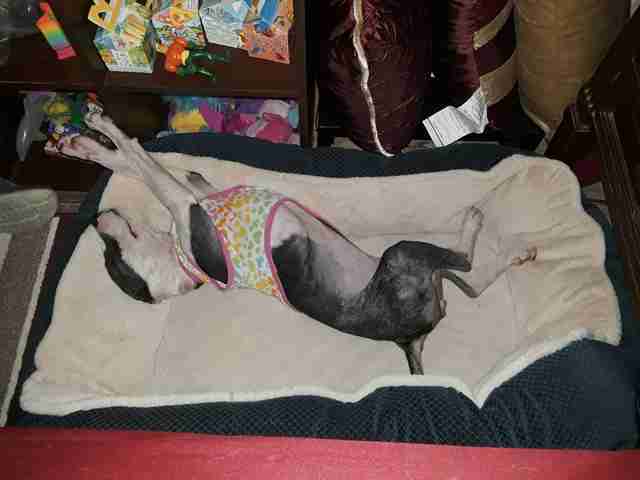 Ziva lived with Williams for about two months, and during this time, Ziva gained weight, grew in a new coat of fur and learned a lot about being a dog. 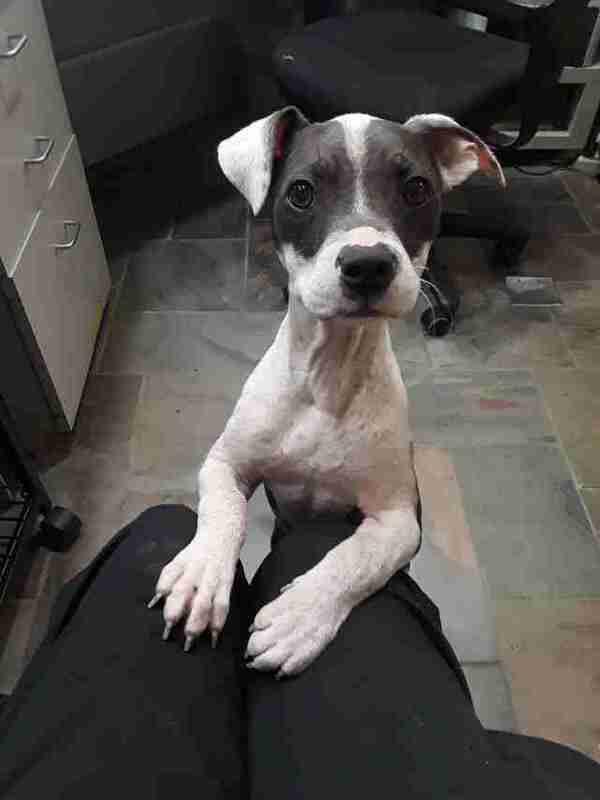 Lots of people were interested in adopting Ziva because she looked so little and cute, but Zuluaga knew Ziva required an adopter who could continue helping her through her fear issues. Eventually, Zuluaga found the perfect person. 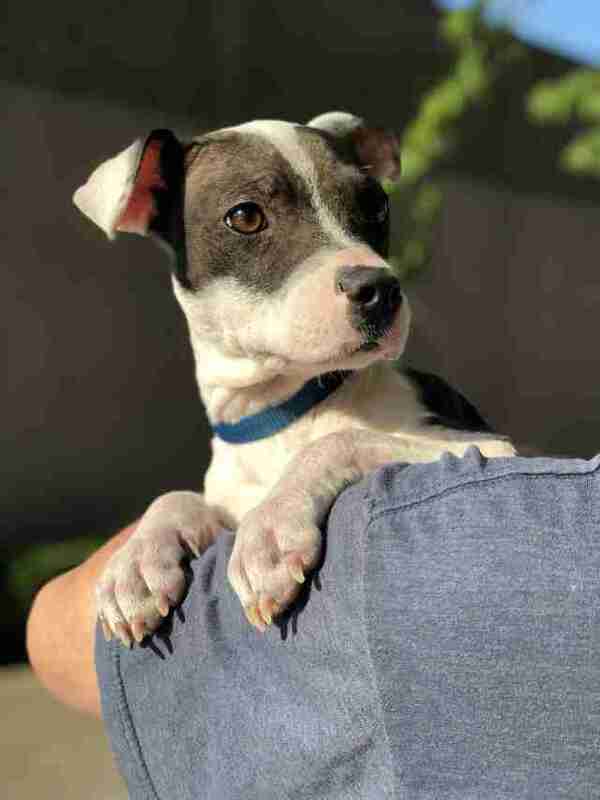 This past weekend, Ziva went to her new home in Fort Worth, Texas, and also got a new name — Roxy. 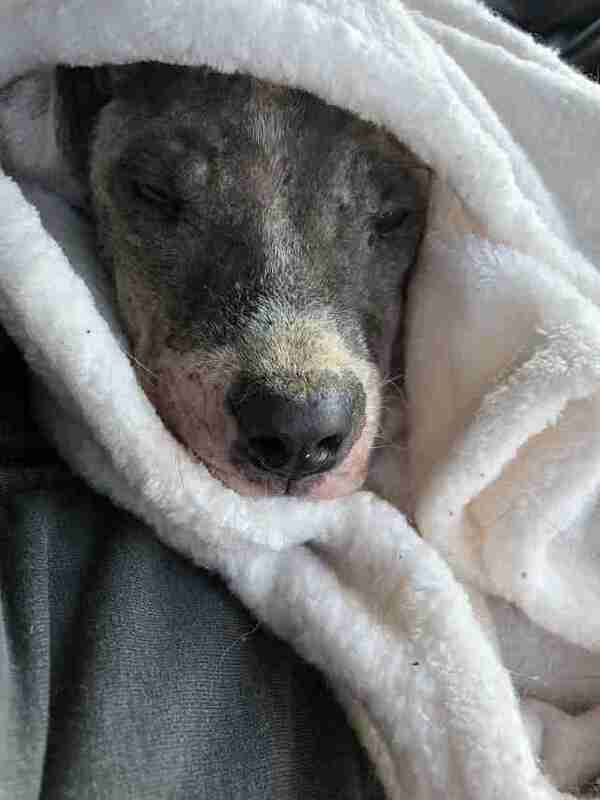 While Roxy got a happy ending, lots of other dogs in Houston still need help. 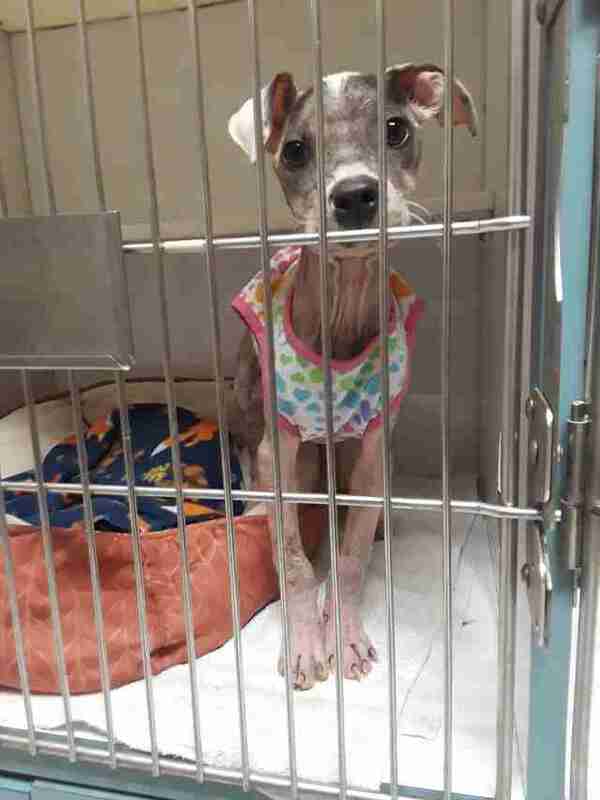 You can help A Chance to Bloom Dog Rescue save more dogs by making a donation.